I’ll admit it. I love a Royal wedding. The music, the ancient church, the flowers, everyone wearing hats and dressed in their best, the pomp and circumstance (and no one does ceremony like the English). And, of course, the wedding dress. Whether ruffled (Diana), festooned with lace (Kate) or modern and simple (Meghan) they are all astonishingly beautiful. While the designer gets all the accolades and attention, it is the women behind the scenes – seamstress’ and embroiders – that turn dreams into dresses. Their work – their craftsmanship and artistry – has always fascinated me. 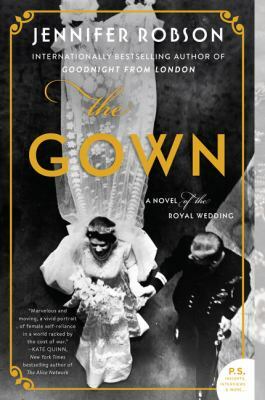 The Gown by Jennifer Robson brings life and personality to some of these anonymous women and gives you a glimpse into their working lives and what is actually required to create such beautiful gowns. London, 1947. World War II is over and won but life is still a struggle. Rationing is very strict (rationing lasted much longer in England than in the US after the war), damage from the Blitz still scars London and the losses and horrors from the war are raw and fresh. Into this austere atmosphere a wedding is announced – a royal wedding between Princess Elizabeth and her dashing soldier, Philip Mountbatten. While there were complaints about the extravagance (the Princess carefully saved her clothing ration cards in order to pay for the dress), the celebration turned out to be just what the war-weary country needed. Quinn shows us the careful and intricate work that goes into making the gown (designed and created by Norman Hartnell and his fashion house) by introducing two of the (fictional) embroiders, Ann, a plain English girl who lost her entire family in the war and Miriam, a sophisticated French woman escaping a difficult past. As the two most talented women in the workshop, Ann and Miriam work tirelessly to create and embellish the exquisite details for the gown. The novel flashes forward to the present several times as the granddaughter of one of the women unravels her Nan’s secret, leading her to modern day London. The friendship that blooms between the women as they support each other is one of the highlights of the book. Quinn expertly evokes the atmosphere of a London feeling downtrodden but unbowed and still optimistic and joyful at the wedding of two young people. Quinn based the story on actual events and was able to talk to one of the women who worked on the Princess’ gown and that authenticity shows. 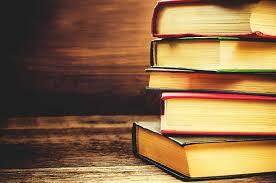 This is historical fiction at its finest. If you’re a fan of the Netflix series The Crown (and you should be, it’s excellent! ), you’ll see the gown in the first episode of season one. The producers of the show spent $37,000 to make an exact duplicate!